Nashville, Tenn. – Play Like a Girl (PLAG) is hosting a Spring Break Camp starting on Monday, April 2 through Friday April 6, 2018 at Oliver Middle School.Staffed by certified teachers, corporate professionals, athletes and volunteers, the week-long program will focus on a variety of activities specially designed to motivate girls both mentally and physically. Each day campers will participate in sports, games and physical activities. They also will have the opportunity to benefit from STEM education and financial literacy delivered by Wells Fargo employees, as well as engage in a variety of arts and crafts and esteem-building exercises structured around PLAG’s 10 Girl-Powered Principles. The camp experience is intended to help participating girls find their spark for athletic, creative and developmental opportunities. Because the PLAG community believes that ‘Giving is a team sport’, for every paid registration they have donated one camp registration to a student from an underserved community. This is a continued part of PLAG’s commitment to level the playing field for all girls in Nashville. More details about the 2018 Play Like a Girl Spring Break Camp can be found at PLAGCamp18.eventbrite.com. You can follow the campers activities on Facebook, Instagram and Twitter at @iplaylikeagirl (#IPLAYLIKEAGIRL). Nashville, Tenn. – Once again aspiring entrepreneurs will have the opportunity to turn their ideas into something sustainable and thriving, as Corner To Corner announces March 6th, 2018 as the date for The Academy Nashville’s spring cohorts. The Academy Nashville is a ten-week program that equips its participants with the guidance, entrepreneurial support, and the means needed to take action and turn their passion into a business. During the program, students will develop and fine-tune their ideas, critically examining each part and determining their next steps through real-time feedback from experienced entrepreneur facilitators. In addition to exploring their own growth as business owners, participants will experience weekly guest speakers who will enrich the conversation by teaching from their own entrepreneurship experiences. · How to choose what kind of legal structure they should have – LLC, S-Corp, etc. At the end of the program, students are poised to walk away with a plan to see real growth in their business. The 10-week course concludes with a community graduation party where three lucky winners will have the chance to present their business idea for prizes in front of the entire Corner To Corner community. To show that you have the passion, creativity and hustle to start your own business visit the www.theacademynashville.org today. Corner to Corner is a Christian nonprofit that exists to extend hope to every corner of our community. 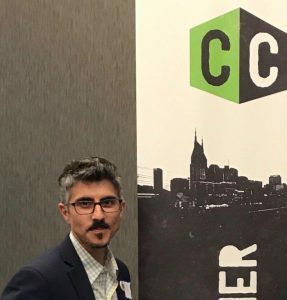 We do this by attacking the cycle of despair often caused by high-rates of incarceration, in a model we call “Connect, Invest, Grow.” Programs include Literacy Tutoring, Baking Classes, Offender Job Readiness, and The Academy Nashville. To learn more visit www.cornertocorner.org.